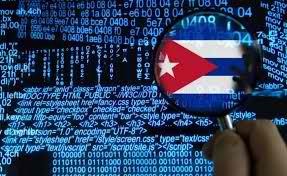 Cuba is committed to the safe, democratic, and responsible use of the internet, while the government, and in particular Fidel, have continued to promote the development of new technologies and full access to the internet for all citizens. Then U.S. President, Dwight D. Eisenhower, approved the so-called Program of Covert Action, designed to destroy the Cuban Revolution. Among other aspects, the CIA was tasked with setting up a radio station broadcasting political propaganda. On May 17, 1960, 1160 khz frequency Radio Cuba Libre (Radio Swan) was picked up for the first time on the island. President Ronald Reagan signed executive order 12323, establishing the “Presidential Commission on Broadcasting to Cuba,” tasked with developing a recommended plan for radio broadcasting intended for transmission to Cuba, such as Radio Martí. The U.S. Department of State, headed by Condoleezza Rice, creates the Global Internet Freedom Task Force, specifically aimed at “maximizing freedom of expression and free flow of information and ideas” in China, Iran and Cuba. Featured image is from Radio Granma.